Skiing has arrived. MSP Films takes you inside the action with “THE WAY I SEE IT,” featuring several unique perspectives on the progression that took place during the winter of 2010. The winner of Powder Magazine’s 2009 “Movie of the Year” brings you the best athletes on the planet sharing their points of view on what it means to be a skier and backing up their positions with hard-charging action. The MSP team traveled the globe in search of what makes this sport so special… the adventure, the passion, the camaraderie, and the fun. 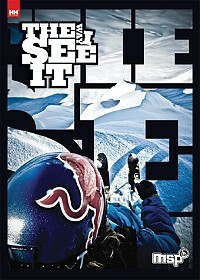 “THE WAY I SEE IT” showcases the greatest deep powder, steep lines, and massive park features from British Columbia, Japan, Alaska, Colorado, Switzerland, Idaho, Washington, and many other locations worldwide.